Knife with a 3.2 mm thick carbon steel blade. Scandinavian grind produces a very sharp edge with excellent control of the cut and is easy to sharpen. 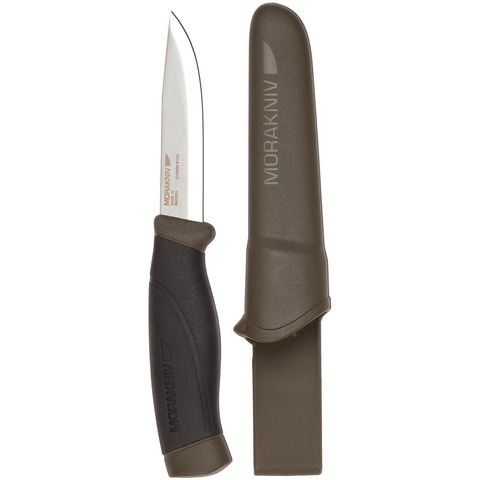 Extra-large ergonomic handle with soft, high-friction rubber grip gives the feeling of control, making work easier, as if the knife were an extension of your hand.